The girl's death led the Bharatiya Janata Party (BJP) to slam the Opposition parties for 'politics of violence'. The Bharat Bandh called by Congress-led Opposition parties to protest against the petrol and diesel price hike allegedly led to the death of a two-year-old girl in Bihar's Jehanabad. 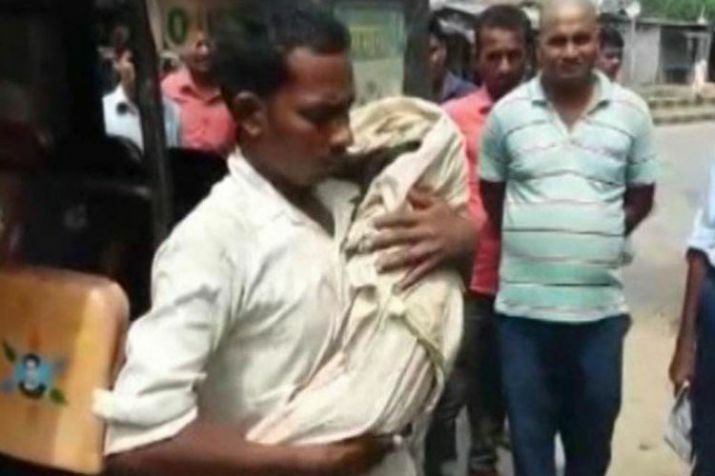 According to reports, the auto rickshaw transporting the baby and her father to the hospital wa stsuck in a traffic jam caused by protestors for several hours, which led to her demise. The girl's death led the Bharatiya Janata Party (BJP) to slam the Opposition parties for 'politics of violence'. Union minister Ravi Shankar Prasad alleged that the people of the country do not stand with the protests staged by Congress and other parties as they were trying to create fear. He further added: "People of India may be upset over petrol and diesel price rise but they do not stand with the violent protests being held today. The Opposition parties are trying to create a sense of fear amongst public." Meanwhile, a district authority official denied the report that traffic jam caused by protestors led to the death of the child. "The death of the child is not related to bandh or traffic jam, the relatives had left late from their home," SDO Paritosh Kumar told ANI.